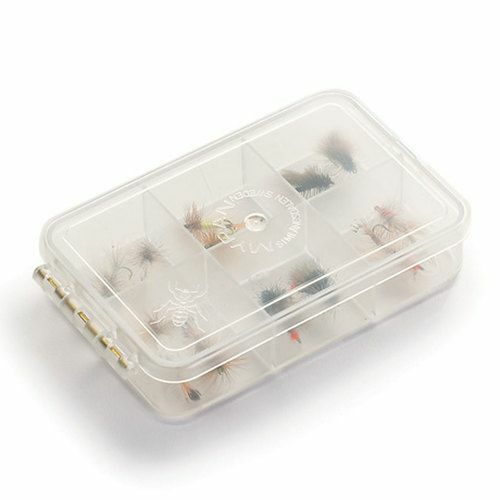 Made from non-brittle, sturdy MBS clear plastic and boasts the original brass-embedded fly box hinge. Snaps close easily and securely yet opens with ease. 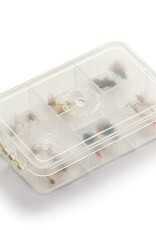 The internal dividers touch the lid to ensure small flies don't move from one compartment to another. This model has 2 rows of 3 compartments.